In the average household, school lets out earlier than work. So for many families, there is a time between when kids are free to roam when parents are at home. This situation produces a situation where safety is sub-optimal. If you don’t happen to be in the income bracket that can hire security personnel to meet your kids after school and look after them until you arrive, safety is a justifiable concern. Some of the things you can do are obvious and others are less so. 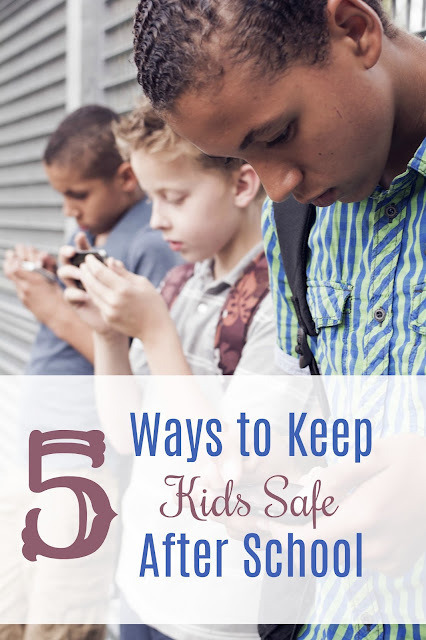 Here are 5 things you can do to make your kids safer after school. We are long past the time when we can pretend that a security system is just an optional luxury for rich people. There are options for monitored security for as little as $9 a week. You can find many offers and packages, many of which are suitable for apartments. See more details online. Criminals fully expect to find homes with kids and no parents in the early evening. Criminals are like water. They take the path of least resistance. They will almost always try the house without the security system. Make sure your kids are in the house that has one. No matter how responsible you think your kids are, you want to limit the opportunities they have to turn on the oven. It is one thing to teach them to cook when you are there to supervise, and quite another to leave them to cook for themselves. The best way to limit mishaps in the kitchen, such as fire or injury from pointy objects, is to prepare healthy after school snacks for them ahead of time. At this point, a smartphone is more than a luxury. The government is treating smartphone as a necessity. It is past time we start viewing them the same way. It is understandable that you would have some misgivings about handing your child an expensive piece of technology. But you don’t have to give them a top of the line iPhone. There are many cheap or free phones you can get from carriers with or without a contract. The smartphone is a way for you to reach them when you are worried, and a way for them to call for help when they are in trouble. Beyond that, there is simply no better way to track a person than by having them carry a cell phone. Whether it is a cell phone or other piece of technology. If it has parental controls, you should use them. After school before you get home is exactly when your kids think they can get away with things. Parental controls, especially on a smartphone, enforce boundaries when you are not there to do it personally. One of the more dangerous misconceptions is that parental controls don’t help because your kids can easily get around them. That may be true for one in 10,000 kids. But it is probably not true for your kid. A password and a little vigilance goes a very long way to keeping your kids that much safer. We live in a post-privacy world where everyone knows everything about everyone. Many people have simply given up on the very idea of personal privacy. You must teach your kids to hold the line. No matter how excited you are about your upcoming vacation, when you get back home is the time to announce it on social media. Announce it beforehand, and everyone knows your house will be vacant. Besides thieves, personal information is quite valuable to corporations. Don’t even give them your zip code if it is not absolutely necessary. There is safety in privacy, parental controls, carrying a smartphone, eliminating kitchen disasters, and having a security system. Any one of these will make your kids a little safer. All five will make you a supermom.